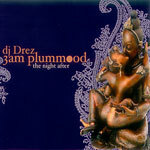 Every Drez CD we have is limited and dope as hell!!!! Trust us, These are primo mixes...This One takes a trip into the deeper side of DR. E-Z. Just from the title you should know that it's a mellow ride.